I want to thank the two Daves for making the last month of my life a musical and beautifully interesting time of pure joy! 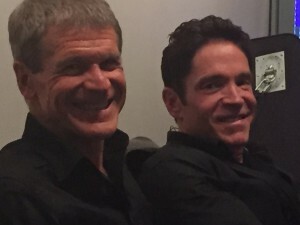 Thank you David Sanborn and Dave Koz! You two sounded wonderful together. Also want to thank the great musicians that made us all sound great! Randy Jacobs (guit), Andre' Berry (bass), Frank (Third) Richardson (drums) and Ramone Yslas (Perc). Smokin' boys! Eric Hegi, Melissa and Steve kept it all together. Thanks to all and hope we can do it again.. As always? stay tuned and be well! God Bless!